There is no better place to find cairns, and energy vortexes than around Cathedral Rock and Oak Creek Canyon in Sedona, AZ. This is where I found this Cairn, left by an unknown rock artist. 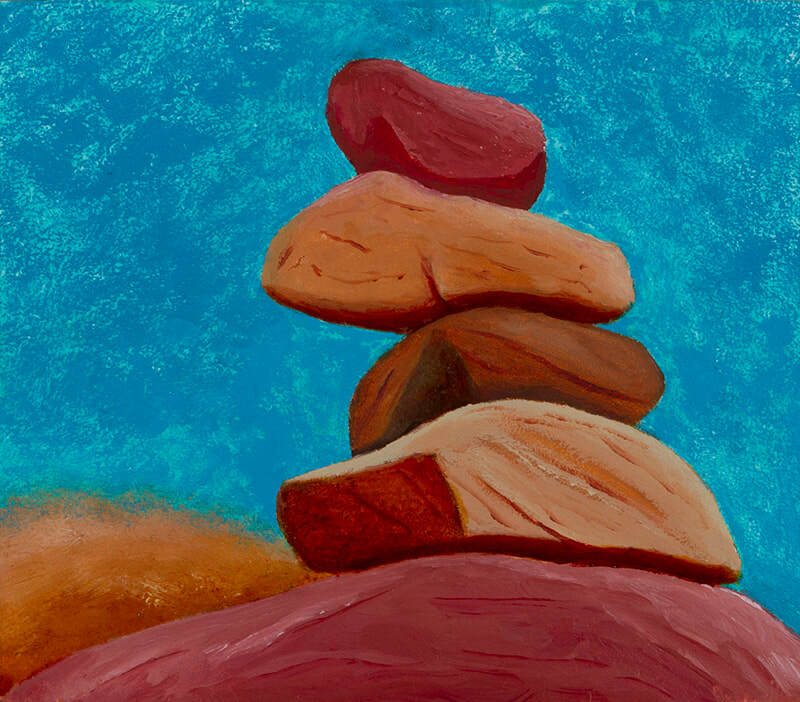 Cairns, stones and rocks, in the form of still-lifes, and rock-strewn landscapes is the emphasis for my most recent art. 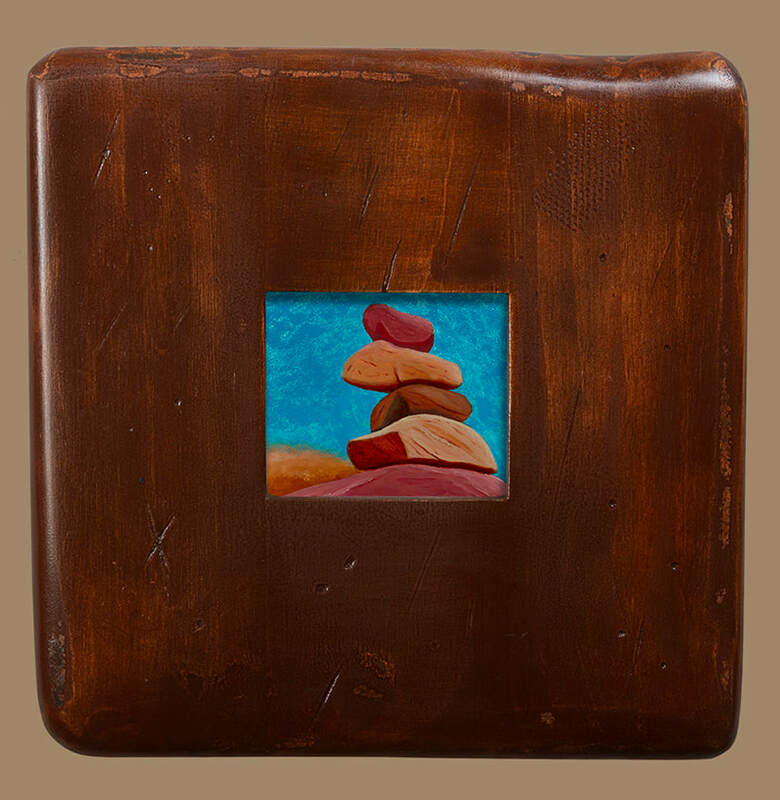 My inspiration to paint rocks comes from visits to the North Shore of Lake Superior and western trips to Utah’s and Arizona’s Red Rock Country. I would come across these beautiful cairns, created and left behind by other creative rock lovers. I like to think of my cairn paintings as collaborations with rock lovers I’ve never met. The wooden, distressed frame was made by the artist.